US Soccer: Pay-to-Play or Play Equity? The failure of the US men’s soccer team to qualify for the 2018 World Cup in Trinidad and Tobago last week set off a predictable round of recrimination and criticism by people who care about American soccer. It is clear that no single explanation can account for the failure to qualify, but for me the point that resonates most loudly is the criticism of the pay-to-play system in youth soccer. The argument goes like this: The road to becoming an elite soccer player runs through elite youth clubs and academies. These clubs and academies are very expensive. Low-income families cannot afford to send their kids to these development programs. As a result, a disproportionately large percentage of players are affluent and white. Too many Latino and African American players do not get properly trained or seen by coaches who can advance their careers. In effect, our national teams are working with a limited talented pool, and one that is “disconnected” from Latinos and African Americans. Pelé and Maradona would have gone unnoticed and undeveloped in the American system. Inevitably, pay-to-play is linked to the “soccer so white” lament. Economics, race and ethnicity are indeed interconnected, but let’s think this through carefully. The US starting 11 in Trinidad included only three white or Anglo players. The problem isn’t as simple as racial bias in US Soccer. The crux of the matter is that far too few Latinos and African Americans — and for that matter too few poor white, poor Asian American and poor Native American players — are able to participate in the pay-to-play system. This economic reality severely reduces the American soccer talent pool of well-trained young players. Latino and African American athletes often do not receive the same opportunities to advance in youth soccer as their white counterparts. To be honest, as president and CEO of the LA84 Foundation, the success of the US men’s national soccer team is not my top priority. The LA84 Foundation is a youth development foundation that uses sport as the vehicle for kids and their families to build better lives. We seek to level the playing field so that every young person regardless of income, race, gender or ability has access to sport and the opportunity to experience the physical, social and academic benefits associated with youth sports participation. 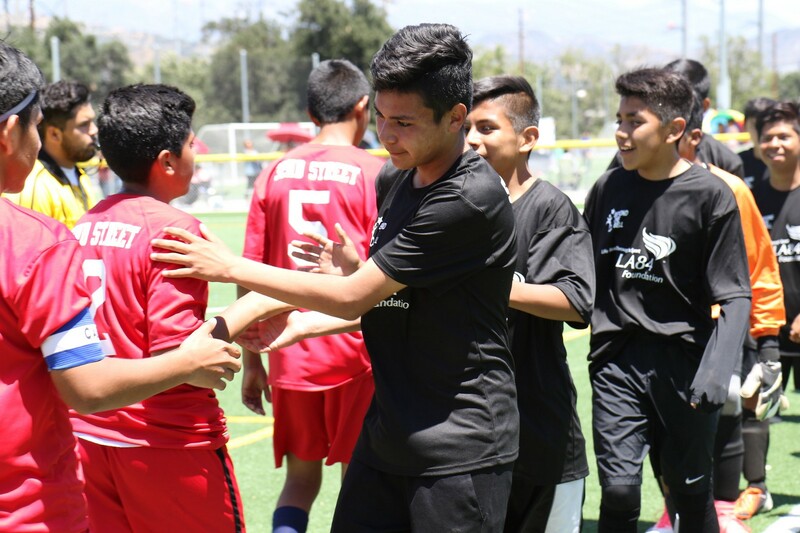 The LA84 Foundation has spent the last 30 years investing in soccer, among many other sports, in low-income communities throughout Southern California. 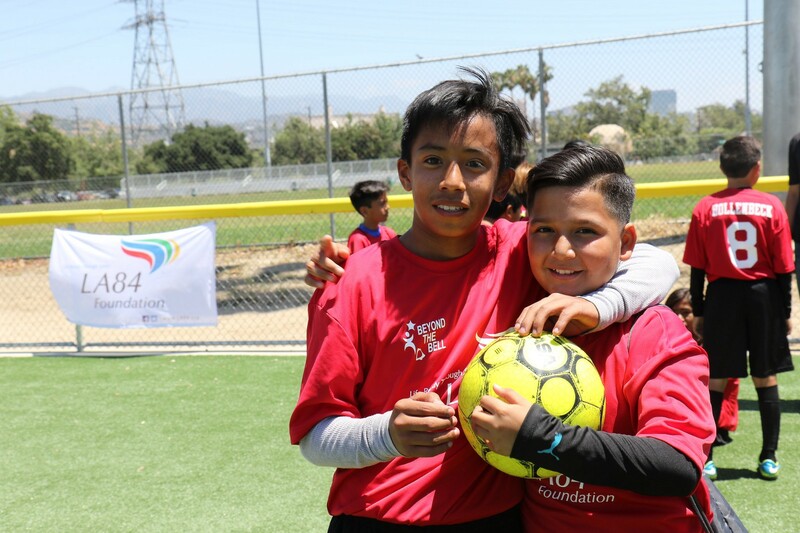 Grants from the LA84 Foundation have introduced and sustained soccer programs for more than 300,000 kids, most of whom are Latino or African American. Our primary goal always has been to provide access and keep the game fun, not to “produce” national team players. So, why am I writing about the US team and pay-to-play? The answer is simple: This is a play equity issue, a topic we care about deeply. Only a small percentage of players will become elite. Most are not even interested in seriously trying. But there always will be some kids who set their goals very high and pursue the life path of an elite athlete. They don’t always succeed, but they should have that opportunity regardless of family income. As I wrote here more than a year ago, a talent development system that abandons kids who are promising but too impoverished to pursue their athletic dreams is discriminatory. Elite development, done correctly, is something we should embrace. It is an integral part of sport. Poor kids should have the same opportunity to develop their athletic talent as rich kids. So, what is to be done about pay-to-play? Calls to “end pay-to-play” ring hollow. Like it or not, private clubs, travel teams and academies are not going to disappear. The most qualified and experienced coaches, who make a living coaching soccer, are not suddenly going to offer their services for free. Here in Southern California there are several programs intentionally designed to provide serious training and showcasing of young players from families of modest means. Examples include Hollywood FC; Los Angeles United Futbol Academy; Street Soccer USA , with a new Los Angeles pilot program; and Southern California Youth Soccer Organization, with support from the MaxInMotion Foundation. Programs like these and others working to close the play equity gap deserve serious consideration for support. 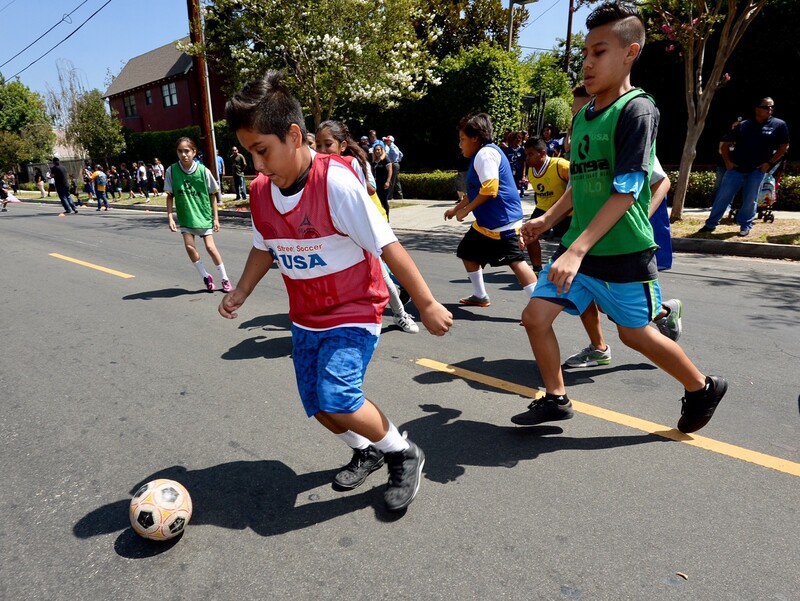 Organizations like the LA84-funded Street Soccer USA program offer opportunities for youth who cannot afford to participate in the pay-to-play system. We need to explore ways to fund player development for any young person committed to athletic excellence. This will require a broad-based effort. Will Major League Soccer step up? How about the corporate sponsors of elite soccer in the US? Can schools and parks departments assist this cause by making field space available at little or no cost? This is a fixable problem. Surely, we can put together an impactful and focused collaboration of well-conceived development programs, funders and facility providers to change the system. This does not mean that we should naïvely write a blank check to any club or academy claiming to provide a pathway. To the contrary, building a community of funders around this issue should result in increased scrutiny of clubs and academies. Before a cent goes to goes to any organization, we need to ask pointed questions as part of our due diligence. ·Does the program spend its money wisely? · Who are the technical directors and coaches, and what training and certifications do they have? 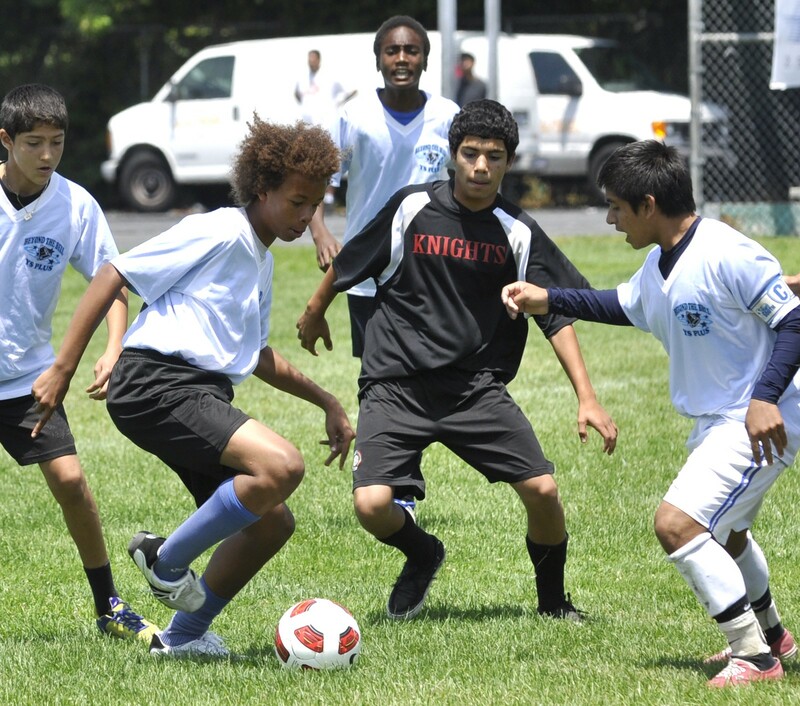 · Is player training and competition age-appropriate? · Does the club or academy engage in unnecessary travel and tournaments? · What is the relationship between skills development and the desire to win matches? · What is done to protect player health and safety? · Is the program sensitive to the academic needs of players, many — if not most — of whom will fail in their quest to become elite soccer players? · Is the program truly player-centric, or are the development of coaching resumes and a lucrative business model the primary objectives? Finally, as we work to solve this problem, let’s keep a sense of perspective. The women’s national team continues to be one of the world’s best. Despite the domestic soccer media’s recent angst about the men’s program, our U-20 team made the quarterfinals and the U-17’s advanced to the round of 16 in their respective 2017 World Cups. On the same day that the US senior team got eliminated, the Netherlands — often portrayed as a model of youth development, and a 2010 World Cup finalist and 2014 semifinalist — also failed to qualify for 2018. Despite last week’s result, the future is still bright for soccer in the United States. In 1998, powerhouse Germany’s World Cup ended with a shocking 3–0 defeat by underdog Croatia. Germany then lost in the first round of Euro 2000. The Germans responded by making systemic changes, finishing third in the 2006 World Cup and winning the 2014 championship. The US isn’t Germany. It’s bigger. The governance of soccer is more decentralized. And, soccer does not dominate the sports culture in this country. Still, we can learn from the German example. This is an opportunity for us to make improvements by expanding opportunities. The US team failed. We’ve had our period of mourning. Enough already. Let’s get on with the job of giving everyone a chance to learn, play and excel at soccer or any other sport. Renata Simril is President and Chief Executive Officer of the LA84 Foundation. Connect with her @RenataAngeleno and @LA84Foundation. LA84 creates sports opportunities for all kids and promotes the importance of sports in positive youth development. Join the #PlayForAll Movement!